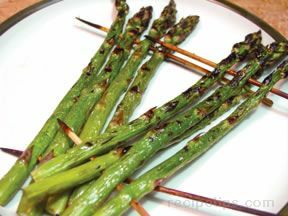 Growing asparagus from asparagus crowns can be an easy and fun way to harvest your own fresh and organic varieties of this healthy green vegetable. 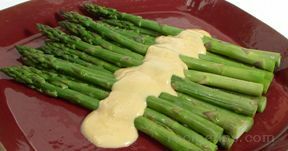 When, what, and where to plant are key decisions when starting to grow asparagus in your garden. 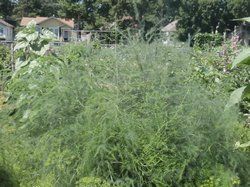 Growing asparagus is a great way to incorporate a perennial vegetable into your garden that will be ready for spring harvest even before you get your annual vegetable plants into the ground. 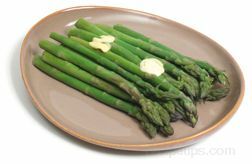 Asparagus is an easy to grow vegetable that once started can be a robust addition to any vegetable patch. 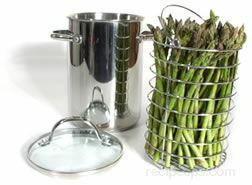 For best results, asparagus crowns or plants should be planted in spring or early summer to allow root systems to establish before winter. 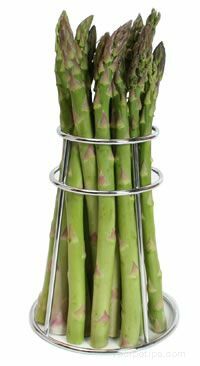 A Crown is the dormant root system to a single asparagus plant. Growers usually package several crowns together for sale. If ordering from a grower, it is important to verify ordering cut-off times. Some growers will only fill as many orders as they have crowns, in which case early ordering is imperative. Otherwise, local nurseries and even plant centers will often have crowns and sometime even live plants available in the spring. Once crowns or plants have been purchased, it is important to get them established and planted right away. 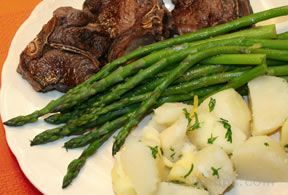 However, since incorporating asparagus into a garden is somewhat of a permanent decision, it is important to properly select and prepare the area. The area should be one of full sun (or mostly full sun area) with good drainage. 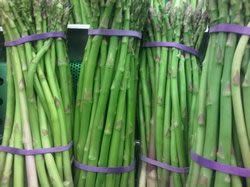 Several varieties of asparagus are available for purchase. 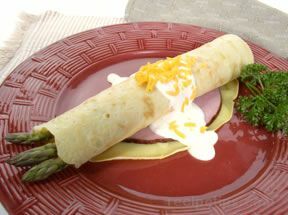 Generally, asparagus comes in three colors; green which is the most common, white and purple. The green varieties are the most common and can usually be found in local nurseries and plant centers. 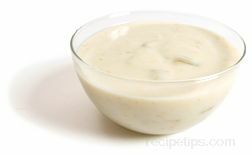 White and purple varieties have very similar tastes as their green counterparts, but can vary in texture. 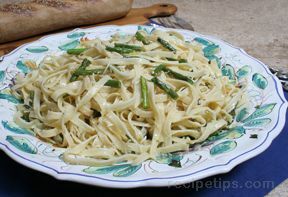 White and purple varieties are known to produce thicker stalks, yet maintain their tenderness. 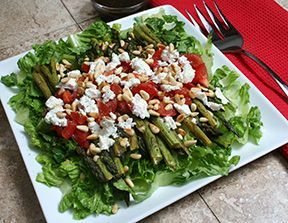 Unless a hybrid plant is selected, asparagus plants generally come as both male and female plants. 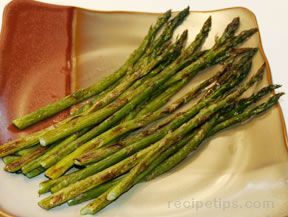 Female plant will produce seeds which will generate new asparagus plants. 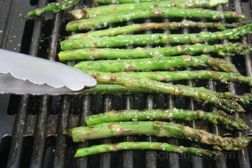 Male varieties are prized for producing larger stalks, since the male plants do not utilize energy trying to produce seeds. 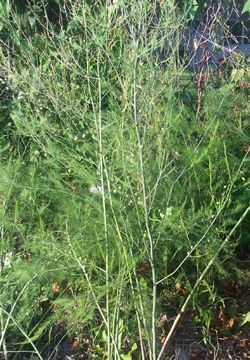 Although opinions differ on the subject, some gardeners will remove young seedling asparagus plants, which have sprouted from seeds dropped by female plants, in order to maintain space and nutrients for older plants. Other gardeners will choose to leave them to help produce more plants for harvest in future years. 1 Year Old, 2 Year Old, or 3 Year Old? 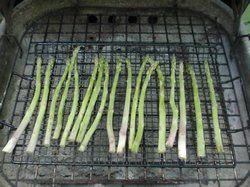 When starting asparagus in the garden, one of the biggest draw backs is the time necessary before the first harvest. 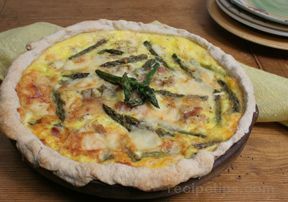 Generally asparagus cannot be harvested until they are at least two or three years old. Growers offer crowns labeled as one year old, two year old, or three year olds. 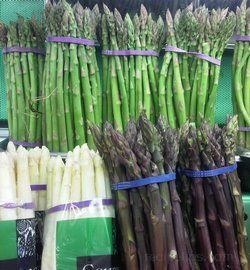 The difference is the age of the crown and how many years you will need to wait to be able to harvest the asparagus from your garden. Generally the older the crown, the more expensive it will be, but the shorter time you will need to wait before first harvest. 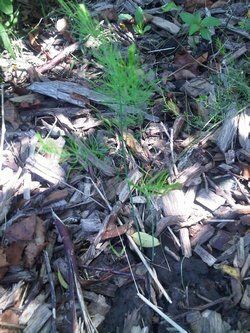 However, even three year old crowns will generally need a year in the ground before they will produce stalks worthy of harvest. Harvesting plants too early can cause stress to the plants. One year olds can usually be found as bagged crowns or live plants at your local nursery. Generally older crowns would need to be ordered from a grower. 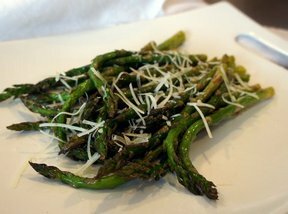 Growing organic asparagus is one alternative. 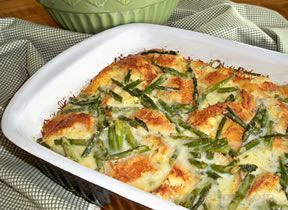 Asparagus is harvested when very young stalks grow out of the crowns in the ground. 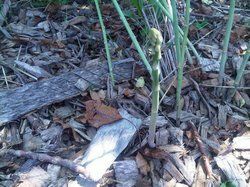 Because of this process, stalks have very minimal exposure to pest and diseases that can plague other vegetables in the garden. 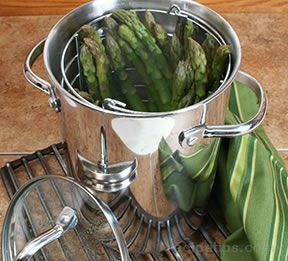 One key to maintaining healthy asparagus plants is clipping off stems when plants go dormant for the winter to help prevent rust. Maintaining healthy soil levels can be accomplished by adding compost to the soil in the fall and spring which will help plants ward off disease and pests. 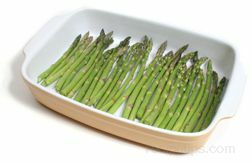 Good old fashion weeding by hand is also necessary with asparagus beds to remove grasses and weeds which can easily find a home there. 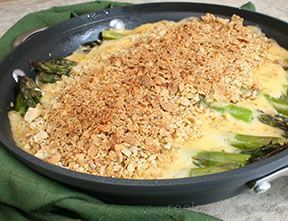 Growing asparagus from asparagus crowns can be an easy way to incorporate a versatile, great tasting early producing vegetable into your garden. 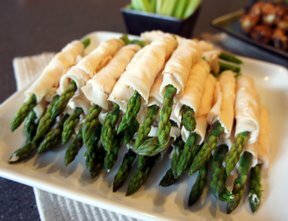 The primary reason for growing organic asparagus from crowns is to reduce the amount of time necessary before first harvest.